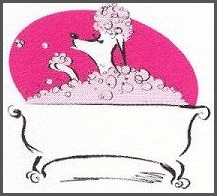 At Hound’s of Hollywood Mobile Dog Grooming Spa, we pride ourselves on offering the safest products available in the market place for our customers and their pet’s. We use only the finest quality, all natural, hypoallergenic, “no tear” shampoos available, mixed to the exact specifications recommended by the manufacturer. Even our flea shampoos and various medicated shampoos are hypoallergenic, but by nature they’re not always “no tear” and are administered with the utmost care to ensure that the pet enjoys the full benefit from these specialty products. That’s why we don’t just give your pet a bath; Hound’z Of Hollywood ensures your pet’s safety and comfort by doing so in a humane and loving way. 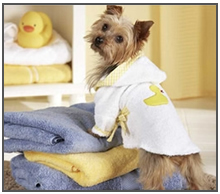 Hound’z Of Hollywood offers 3 different types of experiences/services for your pet’s needs. And finally, to complete the look, special bandana for your dog is fitted to your finished pet, again at no additional cost. We know that sometimes your pet isn’t ready for a full groom yet, but their not looking their best anymore either and a bath alone isn’t going to work. So, we created another option for your pet. It’s called the Hollywood “SUPER” Bath, you get all of the same services as the Hollywood bath, but, you get so much more!!! First, your pet receives a full grooming prep. This includes shaving the hairs from the pads of the feet. We’ll lightly trim face and any stray fuzziness on the body to create a clean appearance. The Hollywood Deluxe Groom is our premium service that enables us to achieve these challenging goals. We want to provide a “superior quality” groom to your pet and we want to become the “recognized standard of excellence” in the Tampa metro area for mobile grooming services. First, your pet receives full grooming prep. This includes shaving the hair from the pads of their feet. Clipping the excess hair from the tummy and the tush areas. This is also known as a sanitary trim. Then we’ll clean the ears, removing any excess hair from the ear canal. Next we will clip the nails. 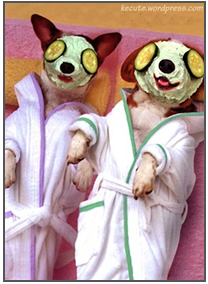 We’ll bathe your pet in our all natural, no tears, and hypoallergenic coconut aloe shampoo. Conditioner is also applied at no additional charge during the bathing process. Then your pet is hand dried and fluff dried. After that we’ll begin the grooming. Your pet is groomed to the pattern for his/her breed by using special clipping equipment. To complete the groom, your pets coat is hand scissor to a symmetrical and attractive finish. When appropriate, light mink oil sheen is applied to your pet’s coat. Our standard cologne is applied to finish the experience for your pet. Was created as a supplement to the “Deluxe” Groom, and combines several of the most frequently chosen additional services into one super value priced option.